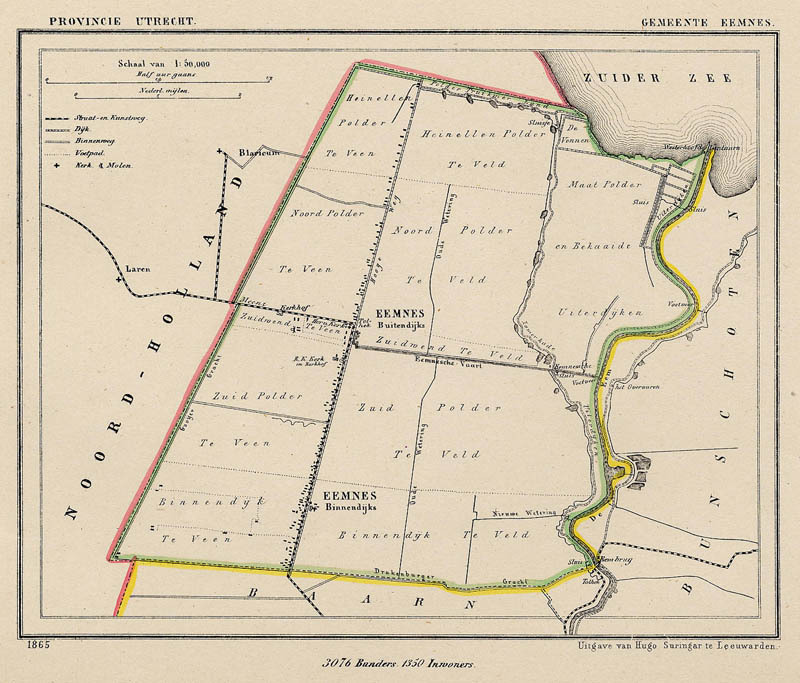 Description Detailed map with handcoloured borders of the municipality of Eemnes. On the map are: Eemnes Buitendijks, Eemnes Binnendijk, Westerhoofd, Tolhek, Hooge weg. Looking for an antique map, historical print or plan? Feel welcome and browse our mapsite atlasandmap.com! We have maps, made by Kuyper (Kuijper) . more map communityplan of Utrecht like Gemeente Eemnesmore maps by kuyper like Gemeente EemnesPlease contact us if you don't find where you are looking for! We ship worldwide.